The Chrome address bar, or Omnibox 11 Quick Tricks To Become A Chrome Omnibox Power User 11 Quick Tricks To Become A Chrome Omnibox Power User Do you want to become an Omnibox power user and save plenty of time and keystrokes? All you need are a few good extensions and a little knowledge of how to tweak the search settings.... Read More , is good for so much more than just entering the URL you want to visit. 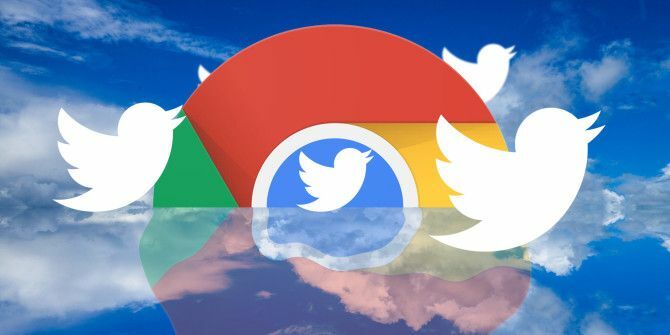 You can search within websites, add events to your calendar, and thanks to Chrome extension Chromnitweet, you can even post to Twitter. The process is extremely simple. After you’ve installed the Chrome extension on your browser, you will be prompted to authorize your Twitter account. You can then start to tweet from the address bar by typing tw and hit spacebar. This will automatically convert the Omnibox into a status update box. You’ll know it worked when you see Chromnitweet in the Omnibox. As you type, Chromnitweet will show you how many characters you have left. Chromnitweet is particularly useful if you’re looking to streamline posting links to Twitter, by doing it directly from the same window where you’re viewing the post. Do you have any other tips or tricks for posting quickly to Twitter? Let us know in the comments. The Positive Impact of Social Networking Sites on SocietySnapchat Stories vs. Instagram Stories: What’s the Difference?